What a fantastically busy Bank Holiday weekend we’ve had at Plan Bee. The sun certainly shone over Balquidder for Mhor Festival 2016 and it was great to meet so many people with not only an interest in great music, but also in great Scottish food. We made lots of new friends and shared an ice cold Honey Beer with one or two old ones too. The event has certainly set us up for the summer, with loads of more Plan Bee appearances across the country. We have two very diverse events this weekend coming, at the Floral Fringe in Horsham, West Sussex and at Dundee’s WestFest. Look out for our teams if you’re heading to either of these events, or if you have nothing planned for the weekend then why not pop by! 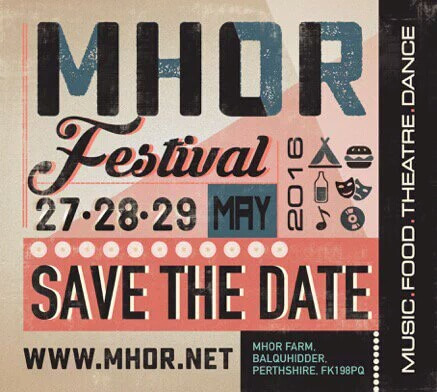 Plan Bee is ready to rock the festival scene this summer, kicking off at the Mhor Festival this weekend. 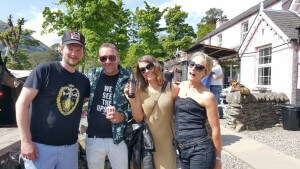 The company will bring their own special kind of buzz to the annual event organised by renowned Scottish chef Tom Lewis and his team at Monachyle Mhor. Crisp, dry Beehive Brae Honey Beer will feature over the two-day festival, joined by the more mellow tones of its Red Beer stablemate. 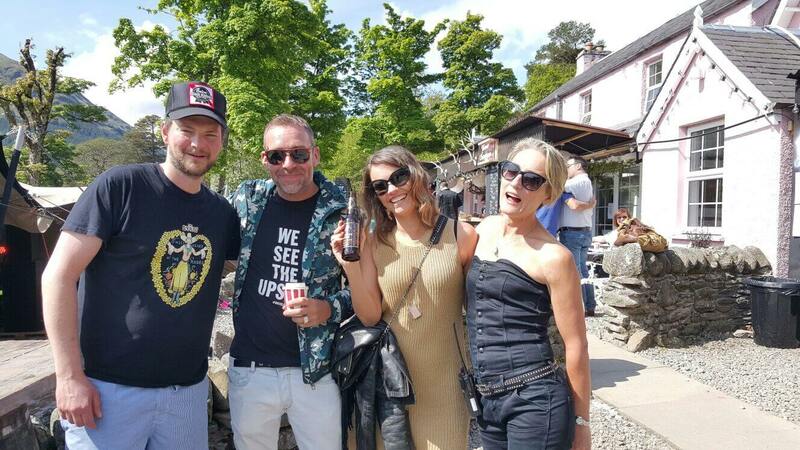 Revellers can not only enjoy the uplifting taste of the beer but they can also enjoy it’s refreshing environmental credentials, with each bottle brewed for the Betterment of Bees. The team, who will be glamping it up over the weekend, will also be keeping festival-goers sweet with our Origin Honey on sale across the event. Will they make it back to work next week, or is there a sickie looming? It’s been an extremely busy last few months for everyone at Plan Bee. 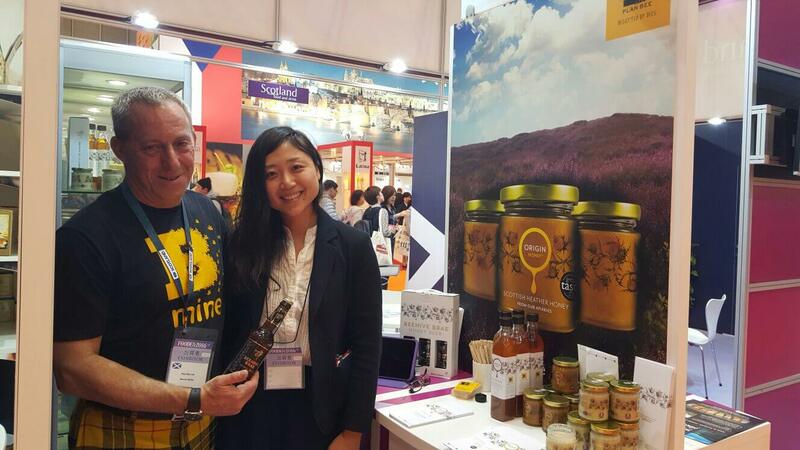 We’ve jetted to Japan to spread the buzz across south east Asia and Australia; we’ve signed up some internationally renowned new beehive management partnerships and we’ve added to the hives we have with some old friends. Already we’re plotting our way through a hectic summer of locating hives in resorts, placing colonies on top of iconic hotels and delivering long-term legacy projects. This will see our education efforts increase and keep #GenerationBee educated on the plight of Britain’s honeybees and the part that young people can play in protecting and preserving dwindling colonies. It’s not only our bees that are dusting down the hive and preparing for a busy season ahead, the country’s hospitality sector is also adding the spit and polish for summer. We’ve been working with a variety of tourism businesses over the winter months to help improve their offering for guests during May, June, July and August aka. British Summertime. 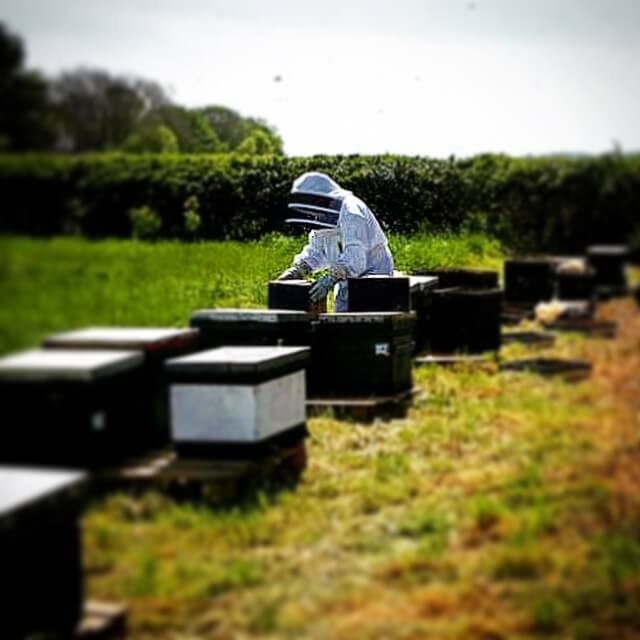 From providing high quality British honey from beehives right on their doorstep, to their own bespoke labelling and content for websites and sustainability reports to actually offering guests an easy, low-cost way to offset some of the carbon footprint from their stay; Plan Bee is really generating a buzz across the sector. So, as another Bank Holiday approaches and we consider long weekend breaks or jetting off to the sun, it’s maybe time to think about what more your business can do for the environment. It was a busy weekend for the Plan Bee team, working across a number of shows, festivals and sampling sessions throughout the UK. While often damp and windy, the sun came out for the team working at the RSPB Big Nature Festival in Musselburgh near Edinburgh. Our Origin Honey varieties went down a storm with twitchers and other visitors to the event, including children’s television presenters Ferne Corrigan and Rory Crawford from CBeebies’ ‘My Pet and Me’. They showed particular interest in our observation hive, which allows youngsters the opportunity to see a real beehive in action. 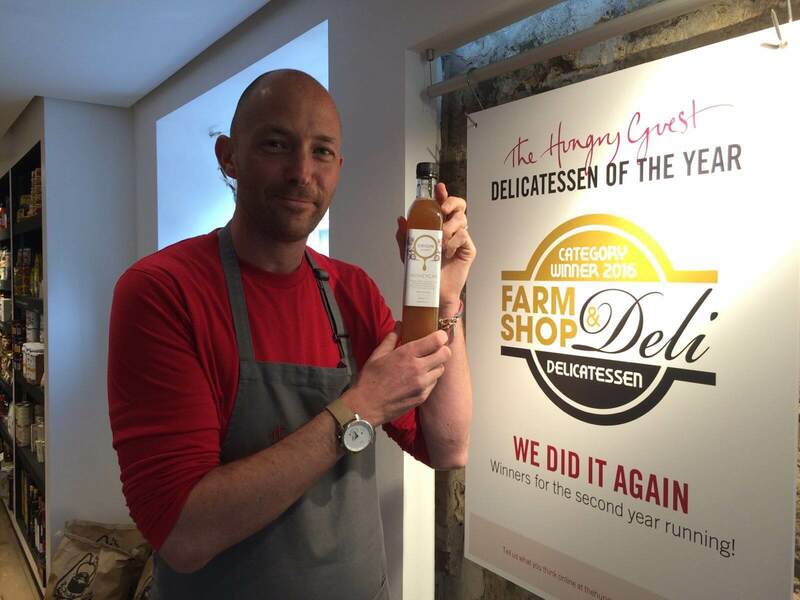 Our new recruit Brett returned to the double Deli of the Year, The Hungry Guest to allow their regular customers to taste our Origin Honey and Beehive Brae ranges, which the Petworth store has recently started stocking. At Largs Food Festival those from near and far were loving our honey and Beehive Brae honey beer. It was a mixed weekend for weather, but the Sunday sunshine brought out the crowds to this popular Ayrshire event. Much of our work over the last few months has been to deliver an exciting and colourful community engagement product for our many beehive management partnerships and other organisations. This service is being taken up and considered by a number of our new beehive management partners, additional to their initial beehive adoptions. But, other partners are looking to how they, and their customers can offset the carbon they’ve used. They’re looking at our ‘Adopt-A-Bee’ initiative to allow their guests and clients to make a low-cost, one-off, easy contribution to help address the energy they may have used. 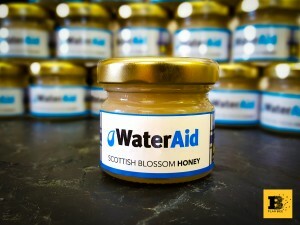 We also got involved in a great cause recently, working with international charity, WaterAid we provided 500 jars of bespoke branded WaterAid honey for that tables at their WaterAid Ball. 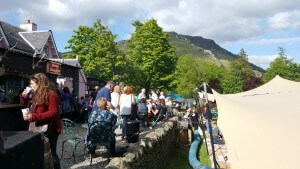 The annual fundraiser helped to collect tens of thousands of pounds to ensure billions of people across the developing world get easy access to clean water and sanitation. Plan Bee’s bumper weekend continues with the team flying into the RSPB’s Big Nature Festival on Saturday and Sunday (21st & 22nd May, 2016). 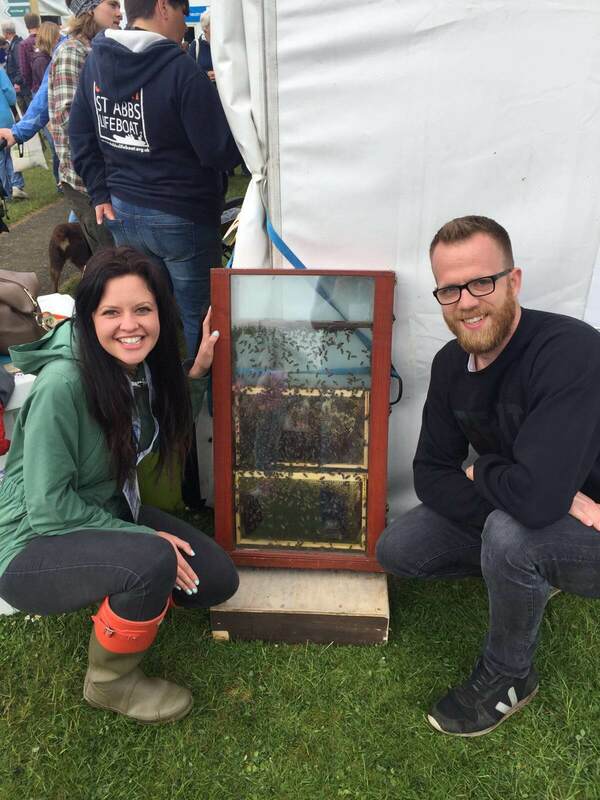 Bringing our own brand of sustainability to the Levenhall Links event this year, the Plan Bee team will have a demonstration hive to allow visitors to view the activity of the hive from behind the safety of a Perspex block. 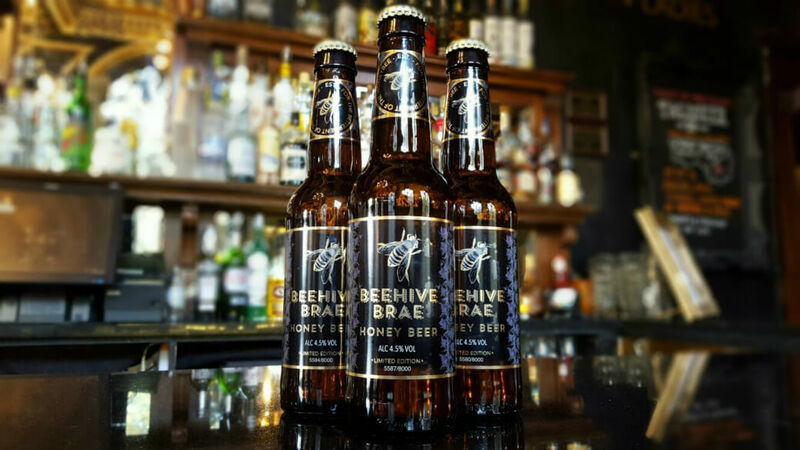 Ahead of Fathers’ Day the company will have available their outstanding Beehive Brae Honey Beers that will put a smile on Dad’s face in the knowledge that he’s helping to protect dwindling honeybee populations while enjoying a full-bodied artisan craft beer. There’s also nearly a dozen kinds of award-winning Origin Honey to choose, from stunning classics like our Great Taste award-winning Blossom Honey and Scottish Heather Honey to the foodies favourite Infusions range. And, there’s even the opportunity to make your pledge to nature by helping to crowdfund a beehive. 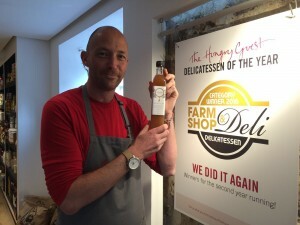 Brett’s back at double Deli of the Year winner, the Hungry Guest this weekend with another popular sampling session. 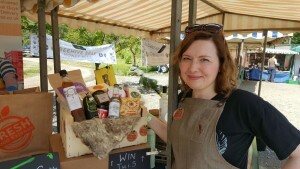 The Petworth fine food store’s latest Origin Honey and Beehive Brae craft beer range went down so well with customers last week that they’ve invited Plan Bee back for a further showcase this Saturday morning (21st May) between 11 and 12. Our West Sussex beekeeper will be on hand to answer any questions on beekeeping and the plight of the honeybee, but will also be providing honey samples and tastes of our full-bodied blonde, artisan Honey Beer and its chocolatey, red beer stable mate. For more information follow @planbeeltd on twitter or like us on Facebook. Plan Bee is heading to the seaside in what is an epic weekend for the team. There’s no knotted hankies and relaxing on deckchairs as the company features its Origin Honey and Beehive Brae brands at the bustling Largs Food Festival. Held on the promenade the event was a major success for Plan Bee last year, with thousands of food lovers heading for the Ayrshire Riviera. Alongside its stunning Scottish Heather Honey and classic Blossom Honey varieties, the multi-award winning Origin Honey will feature its prestigious Infusions range, with Madagascan Bourbon Vanilla and Keralan Cinnamon. Fresh from the Valnerina Valley in Umbria our truffles will raise the eyebrows of even the most experienced ‘foodie’ when they try our Italian Truffle Infusion Honey. 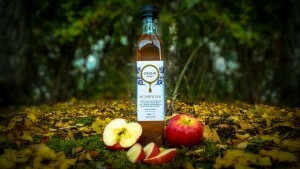 With the summer months approaching, there’s also our very popular Honeygar, a blend of Aged Cider Vinegar and Honey. While this is ideal as a salad dressing such as balsamic, it is growing in popularity as a health tonic, with a number of potential benefits. And, ahead of a major announcement for the brand, the team will provide the flagship Beehive Brae Blonde Honey Beer. This full-bodied artisan blonde is rapidly becoming a favourite with craft beer lovers across the country and internationally. 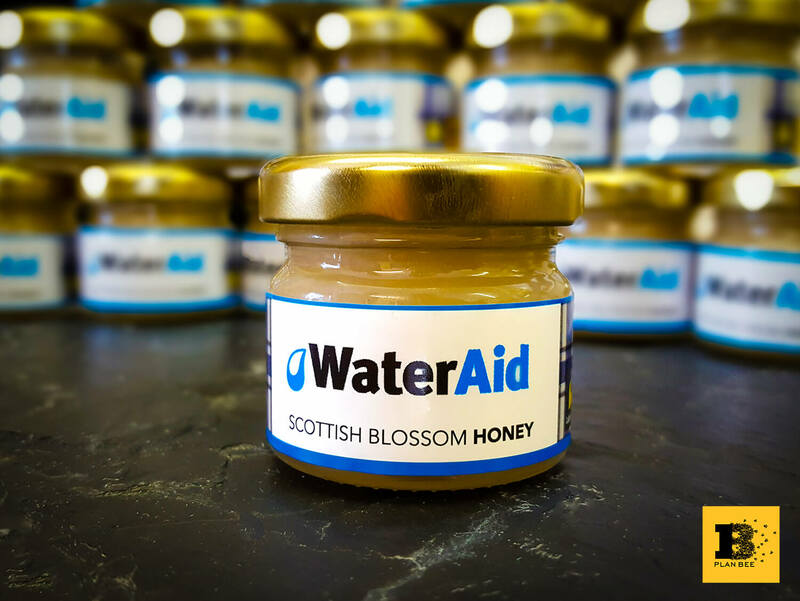 We were delighted with a recent article in one of the country’s widest read tabloids naming our Origin Heather Honey and Honeygar as among Scotland’s leading super foods. Sales of Honeygar have been going well, with not only salad enthusiasts snapping it up as a welcome new dressing; but also those looking for the potential health benefits from the Aged Cider Vinegar and honey mix. 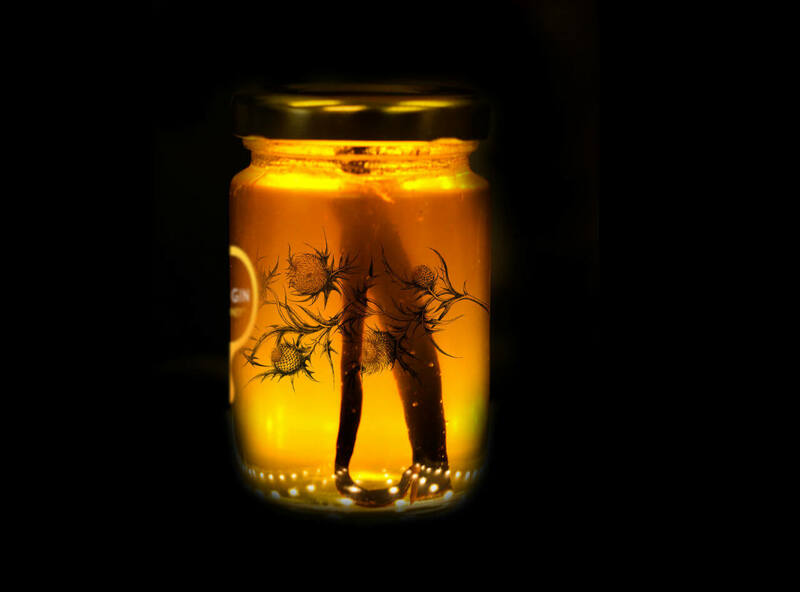 To find out about the potential benefits of our Origin Honeygar, why not watch our new video. Things are really starting to buzz here at Plan Bee, and that’s not just the 10-million honeybees we have in partnership hives from Aberdeen to Cornwall. We’re seeing a growing number of large businesses connecting with the company and most satisfying is that they already get what we’re about. Word of mouth, social media and building the buzz are all helping to engage with companies keen to play their own part in supporting the environment. What is best about that is perhaps that these companies are not only looking to be one hit wonders, but they hope to educate their communities and in particular younger members of their communities on the vital role that honeybees play in the environment. Creating this environmental Legacy has been an important part of our work over the last 5 years, with over 18,000 young people taught curriculum-based sustainability lessons. We’re adding to that, showing kids the waggle dance, squishing recycled newspaper together with wildflower seeds and painting hives with communities across the country. This community engagement offering is a growing part of what we do, in fact the future’s bright, the future’s… golden. We’re always busy bees here at the Plan Bee hive and there’s a fast-paced schedule of events coming up over the summer. Having just returned from our first Highland Games of the season there’s plenty more planned over the next few weeks. 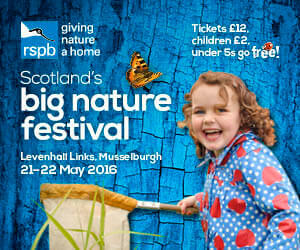 Look out for us at the Largs Food Festival, the RSPB’s Big Nature Day event at Levenhall Links in Musselburgh this weekend (21/22 May, 2016). 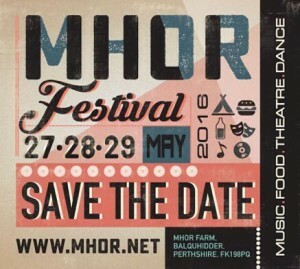 Then hot on the heels of that double-header we have the Monachyle Mhor Festival at the end of May, and the Floral Fringe in Horsham and WestFest in Dundee at the beginning of June. Phew! It’s been a time of celebration and mild disappointment in the last few weeks. While we have been receiving praise from a number of new partnerships (more to follow), we also received news that we had been unsuccessful in our bid for a much-coveted Queen’s Award. We were greatly pleased to have been nominated for this prestigious accolade, which is awarded for outstanding achievement by UK businesses. It’s been an exciting week here at Plan Bee as we expand our efforts across the country. A new bee-keeper has joined our ranks and we’re burgeoning into uncharted territory. 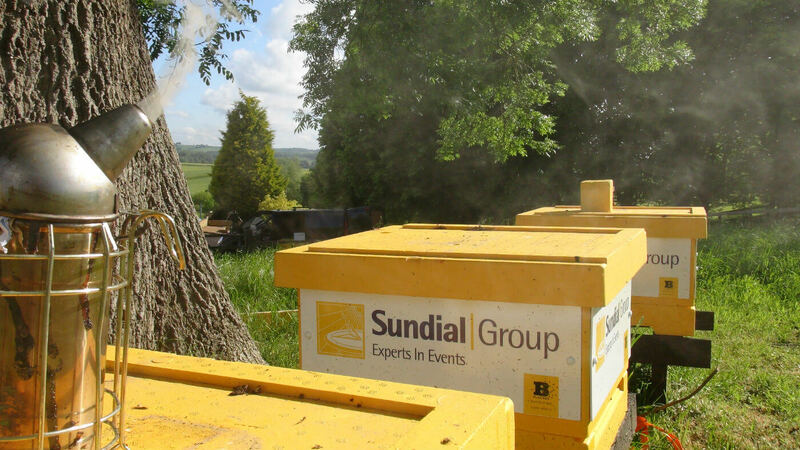 We continue to add new beehive management partnerships to an already impressive portfolio, while many of our existing partners expand their environmental efforts with more and more hives. For Origin Honey there’s new stockists. Speaking of which we hosted a very successful sampling event with double Deli of the Year winner, the Hungry Guest in Petworth. So much so, that they’ve invited us back this Saturday (21st May, 2016). We were delighted to be asked provide imagery for the front cover of the prestigious Lanarkshire Food Map recently. The map is the product of the close working relationship between North and South Lanarkshire Council, Scotland Food and Drink and The List Magazine. Not only does our Origin Honey Madagascan Bourbon Vanilla Infusion take the front cover, but our other honey products also featured on promotional banners for the launch event. 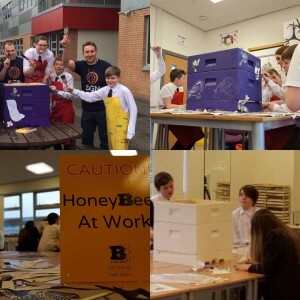 Plan Bee’s in-house Digital Marketing team also provided a short promotional video of the event for North Lanarkshire Council. Plan Bee is buzzing with the opening of our second base in the south of England. The West Sussex facility will allow us to better meet the needs of our beehive management partners across that area of the country. The base will be run by experienced bee-keeper, and former project Manager, Brett Adshead. Already, Brett has established a strong group of colonies in the area and is starting to talk to local companies to help them exceed their sustainability ambitions.